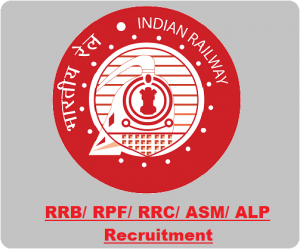 RRB recruitment 2019:- If you are government jobs seeker & looking for group C & D jobs on the basis of 8th/ 10th/ 12th/ Graduates/ Master’s degree/ ITI diploma/ Engineers qualification, then you are the right place. Now your wait is over if you had applied for any govt. 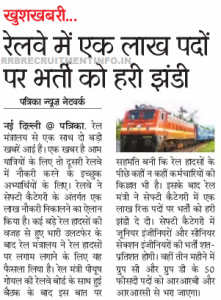 jobs and didn’t get or, you are fresher then here is the great opportunity to join the Indian railway with huge vacancies in different railway department. RRB is the biggest govt department which used to recruit the candidates and gives million people employed. As in 2016, the Railways grabbed headlines by conducting the world’s largest online examination in which 9.2 million job applications were received for 18,252 vacancies. So, this year to the railway will publish bumper vacancies. just stay with us, keep visiting this page regularly, Stay connected with our team via this page. our team will publish the latest RRB jobs which suit your qualification with RRB vacancies in 2019. So keep reading to know “how to apply online for RRB jobs?” , “RRB eligibility criteria, syllabus, upcoming RRB recruitment notification”. Every year RRB recruit mostly Group C & D in RRB (Railway Recruitment Board), RRC (Railway Recruitment cells), RPF (Railway Protection Force) & Metro railway post vacancies. Before we proceed with the job notification in RRB, RRC, RPF & metro railway. According to your profile match job you can apply further to it. All the Interested candidates are requested to stay with us and follow our steps we will guide you & provide you with all current & running RRB, RRC, RPF vacancies in Indian railway department. RRB Group A Jobs: Group A posts is conducted by UPSC organization. It is gazetted post group which is appointed through either Civil Service Exam or Engineering Service Exam and Combined Medical Service Examination. RRB Group B Jobs: In group B, 70% Candidates are selected through a process of primarily based and 30% through a Limited Departmental Competitive Examination as known as LDCE selection test. 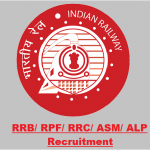 RRB Group C Jobs: Mostly, Indian railway used to publish Group C Technical and Non-Technical cadre post with huge vacancies. The required qualification for Group C post is either 12th pass with 50% marks or graduation in any discipline. RPF recruitment 2019-20| 798 Constable (Ancillary), Rpf- 03/2018 Hindi/ English Notification out! RPF Jobs 2019-2020 notification: Looking for defence jobs in Railway protection force for 10th pass ? then, here is a golden chance to apply for 798 constables 798 jobs in the RPF department in Water Carrier, Safaiwala, Washer Man, Barber, Mali, Tailor, Cobbler trades. The Railway Protection Force (RPF) also known as Railway protection special force (RPSF) is a security force of India entrusted with protecting railway passengers, passenger area and railway property of the Indian Railways. If you are 10th pass and looking for constable jobs in railway, then you are welcome to apply for 798 constable vacancy. Once you are meet the eligibility criteria of constable post then you can apply for this post. Here candidates will get Pay of Rs. 8460/- in the Pay Band of Rs.5200-20200/- including Grade Pay of Rs. 2000/- with such allowances that are admissible under Railway Rules. You can check the eligibility criteria for the RPF constable post. Education Qualification 10th pass/ SSLC/Matric from a recognized Board. Note: Relaxation in upper age limit up to 5 years will be admissible to applicants belonging to SC/ST category and up to 3 years to those belonging to OBC category. Upper age limit is relaxable up to 5 years for those persons who had ordinarily domiciled in the State of J&K during the period from 1st January 1980 to 31st December 1989. Selection procedure Candidates will shortlist performance of the eligible applicants in a CBT Exam, Physical Efficiency Test (PET), Physical Measurement Test (PMT), if any, obtained and Documents Verification (DV).